The Following has been drumming up quite a bit of hype these previous weeks. We are eager to hear what everyone thinks of it. Resident Evil Revelations will be released in the US this upcoming May 21, 2013. Europe will get the game May 24, 2013. The new installment to the Resident Evil franchise will be available on the Xbox 360, Playstation 3, Wii U and Windows PC. Check out the trailer for yourself! 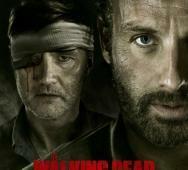 AMC‘s The Walking Dead hit zombie TV series returns this upcoming February 10, 2013 at 9/8C. We will get the second half of The Walking Dead Season 3. Episode 3.09 is titled “Suicide King”. Take a look at the minute long trailer to see what this season has n store for us zombie fans. 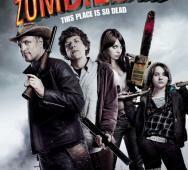 Zombieland zombie comedy horror movie was released in 2009. Amazon has taken the Zombieland name and will be bringing us an original TV series. I guess this will be the competition to Netflix‘s Hemlock Grove horror series. HBO’s TV series True Blood will have our favorite vampires hit hard by the humans this season. Arliss Howard has been cast as the Governor of Louisiana and he has a daughter, Amelia Rose Blaire. Jurnee Smollett will play a “do-gooder” on the TV series. 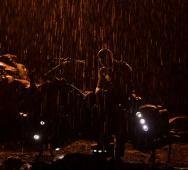 Vin Diesel has posted another movie still for Riddick. The new Riddick movie comes out this upcoming September 6, 2013. Universal Pictures and the original Riddick movie, Pitch Black, director David Twohy will be working to ensure an amazing Riddick movie. In this Riddick movie, Riddick will face the greatest threats ever. Check out the movie still for yourself. 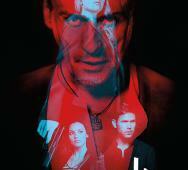 The CW will soon air their very own serial killer TV series; The Cult. 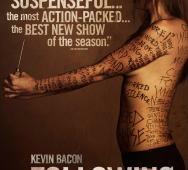 At first glance it seems very similar to Fox The Following; but let us see if we have two hits shows and if so, which is better? The Cult will be airing this upcoming February 19, 2013. Take a look at the new teaser and the preview for CW’s The Cult. 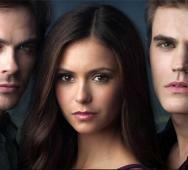 The Vampire Diaries now has a race to “the cure”. Who would have thought that Stefan and Rebekah would be on the same team. Anyways check out The Vampire Diaries Episode 4.11 Catch Me If You Can clip and preview. Supernatural features another appearance of Felicia Day. Funny thing is that she is Larping. Jeannot Szwarc directs the episode and it is written by Robbie Thompson. Take a look at the teaser promo for yourself. This upcoming Wednesday January 23, 2013 at 10 pm e/p we conclude American Horror Story: Asylum Season 3. Take a look at the teaser promo for the season finale episode “Madness Ends”. In this episode Johnny sets out to complete his fathers work and Lana lead the charge to hut down Briarcliff. This episode is directed by Alfonso Gomez-Rejon and written by Tim Minear. 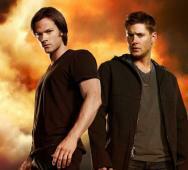 Take a glimpse peek into the future with the February synopsis for Supernatural and The Vampire Diaries. On February 6, 2013 we get Supernatural Episode 8.13, “Everybody Hates Hitler.” On February 7, 2013 we get The Vampire Diaries Episode 4.13, “Into the Wild.” Enjoy a taste of the upcoming episodes. The upcoming January 26, 2013; MPI/Dark Sky Film‘s Frankenstein’s Army will have its World Premiere. The world premiere will take place in director Richard Raaphorst‘s homeland at the Rotterdam International Film Festival. 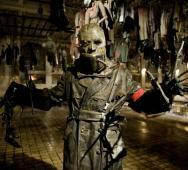 Dark Sky now has released four movie stills for this World War II horror/fantasy. 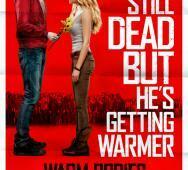 Warm Bodies is that zombie movie that is actually a love story and it is creating a lot of buzz. The new clip is funny and shows us what the zombies are afraid of. The skeleton monsters make their appearance and get detained in a very funny way. Check it out for yourself. Also, don’t miss the zombie film in theaters this upcoming February 1, 2013. The second half of AMC‘s The Walking Dead Season 3 is about to start airing again soon so here you can find the details for episode 3.09 as well as air dates and titles for the remaining episodes in season 3. Fringe comes to an end with Fringe Season 5. The Fringe team fights to save humanity’s future in a special 2 hour final episode event Friday, Jan. 18 (8:00-10:00 PM ET/PT) on FOX. 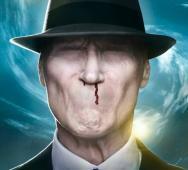 This will also be Fringe TV series 100th episode. Great news, Dexter Season 8 starring Michael C. Hall has been bumped up to an earlier release date starting this Summer 2013. 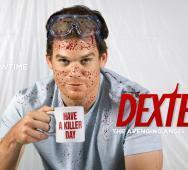 Showtime will be starting Dexter Season 8 this upcoming June 30, 2013. Check out the promo video of America’s favorite serial killer for yourself. Mortal Kombat: Legacy 2 is the continuation of the popular web series directed by Kevin Tancharoen. Season 2 of Mortal Kombat: Legacy will begin airing on February 17, 2013. 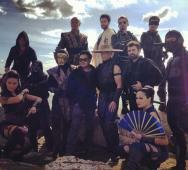 Kevin released the cast photo for season 2 of Mortal Kombat: Legacy. The cast looks great and many have real world martial arts background. I like everyone is excited to see the new season as the first season was fantastic.